Goulden Street Guest house is a Three Star Establishment situated in the quaint suburb of Quigney in East London. We offer 16 tastefully decorated rooms, all en suite. The guest house comprises of six separate units each with their own unique style and character. The units have spacious lounges were you can relax and unwind. We have a lovely Thatched entertainment area that has a pool and braai. We also have a state of the art, 50 seater conference/ venue center-(The Palms). This facility include a data projector, plasma screen and retractable screen. All our bedrooms and lounges has their own TVs.For the self caterer there are modern kitchens that are fully equipped. We offer bed and breakfast, dinners on request. Our accommodation is safe, secure and affordable. 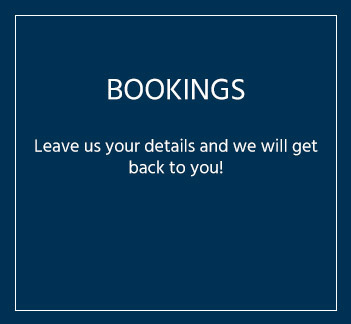 We cater for all travelers, from the business/corporate person, contractors looking for a longer stay, sport teams requiring group bookings and the tourist who is here to explore our magnificent Eastern Cape coast line. We are pet friendly. We are a mere 200m from the beach front, close to great restaurants. Local entertainment is on our door step including our cricket and rugby grounds, athletic track and to the famous East London racing circuit. The East London Golf club, one of the top rated courses in South Africa is a stones throw away. We pride ourselves on offering a facility that feels like home, Come and spend some time with us and enjoy the friendliness of East London and the surrounding Sunshine coast. 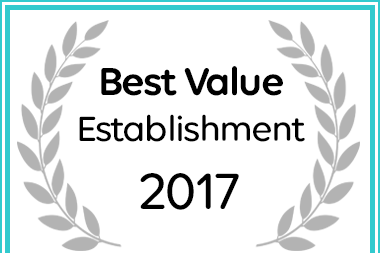 Goulden Street Guest House has been named a Best Value East London Establishment.